Now that you know how to get married in Italy as well as the cultural traditions you can include in your Italian wedding, it’s time to decide the location! It’s no secret that Italy has a wealth of gorgeous – and romantic – places to host your big day: Imagine your dress cascading down the Spanish Steps in Rome, your procession following the Path of Love in Cinque Terre or a gondola ride in Venice as your getaway. Check out some of our favorite locations for an idea of the best places to get married in Italy. There’s a reason Venice is one of the top wedding destinations in Italy (even George Clooney chose to tie the knot here!) and a travelers’ favorite : it’s gorgeous! 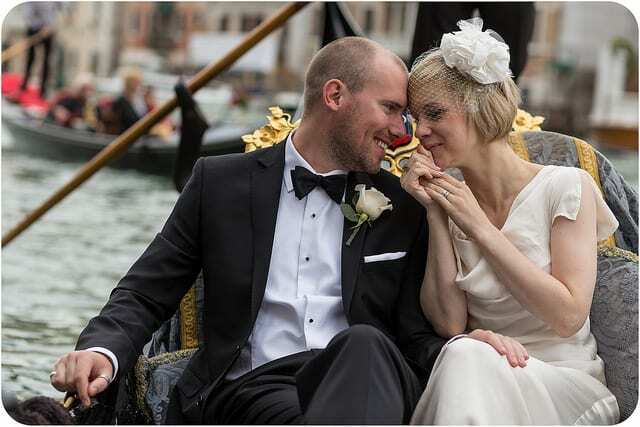 With brilliant colors and romantic gondola rides, getting married in Venice offers many extras to make your wedding day special. Walk across the many bridges of the city on water, take photos in St. Mark’s Square and sail away after the ceremony on a gondola rather than a traditional “just married” car. Still, Venice’s smaller neighbor Verona has it’s share of romance. An ancient Roman city, romance seems to run through the cobblestone streets – Verona is the home of Juliet from Romeo and Juliet! Take pictures in front of the famous arena and have your reception in a traditional trattoria or out in the hills of the city. On the other coast, the seaport town of Portovenere lights up at night, sharing the reflection of the moonlight. With beautiful flower-covered streets and the Portovenere castle …. After, honeymoon by hopping among the five cities of Cinque Terre, located just north of Portovenere. While Tuscany has been a favorite of travelers for decades, its charm hasn’t faded. In the meantime, Umbria has arisen on travelers’ radar as a peaceful, country alternative to Tuscany – including the prices! Both regions offer beautiful countryside views, atmospheric hilltop towns and so many tranquil locations for your wedding day that it’s impossible to choose just one! Narrow down your search in the region based on what inspires you more: an elegant villa, a traditional vineyard or a fairytale castle wedding – the two regions offer them all! San Gimignano has that small town feel tucked in the Tuscan hills, while Perugia, the capital of Umbria, offers plenty of options and ease for your big day, while still ensuring peace and an escape from the bustle of a big city. Choosing one of Italy’s incredible historical centers for the location of your wedding is perfect for those who’d like to incorporate the beauty of Italy’s architecture, as well as the culture and history into their big day. Centri Storici like those in Florence or Rome offer amazing Italian backdrops for photos and visitors. Imagine taking your photos on a vespa in front of the Coliseum or beneath the magnificent Duomo of Florence. For those searching for a truly unique location, head farther south to Apulia (Puglia in Italian) to the town of Alberobello. 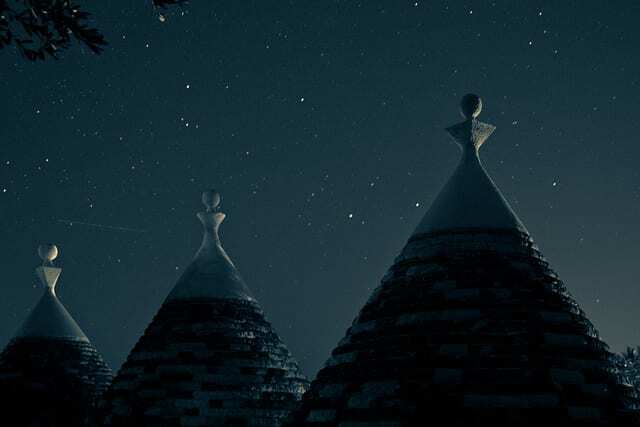 Famous for its trulli, ancient cone-shaped pheasant houses, Alberobello is now a UNESCO World Heritage site to protect the history of the buildings. Get married in the town square surrounded by Apulia’s most distinctive architectural legacy for a historical and truly spectacular wedding. Italy is ripe with culture, but for our cultural wedding we’re looking to the extreme north and the extreme south of the peninsula. In the north, try Friuli Venezia Giulia for a truly unique cultural offering. Right on the border with Austria and Slovenia, Friuli’s history is a mix of Latin, German and Slavic cultures, making it one of the most culturally unique regions in Italy. Not only that, but it also boasts some of the best wines, particularly whites, mountains and even access to the Adriatic sea! Get married under the mountains among the cobblestone streets and ancient archways of Udine! Another option is south to the island of Sicily. Sicily’s past includes influence from the ancient Greeks, Turks, Romans and Arabs, but the Sicilian culture reigns strong today. Head to the ancient city of Agrigento or Syracuse to steep yourself in Sicilian culture. As we’ve said before: there’s no such thing as Italian food, at least in general. Rather, each region offers its own unique cuisine. Piedmont in the north has become a destination for food-lovers across Italy and Europe. Italian with a French influence, food lovers can expect great cheeses (like fontina), great wines and truly seasonal food. The capital of Piedmont, Turin, is considered such an elegant city that it’s been called the “Little Paris” of Italy. For truly sophisticated dining head to Piedmont and eat under the imposing Alps on the border of Italy, France and Switzerland. Another foodie paradise is Naples, best-known as the home of the famous pizza, napolitana, Naples has plenty to offer food-lovers. With cuisine that feels like a hearty, home cooked meal, choose Naples for your big day and the food will just keep coming! Both Portofino in Liguria and Ravello in the Almafi Coast are noted as beautiful seaside towns – and a top vacation spot to park the luxury boats of celebrities and VIPs throughout the world! The tiny town of Portofino seems to hug the sea with the main piazza’s brightly colored houses. Filled with elegant boutiques, art galleries and restaurants, it’s the one of the best places to get married in Italy if you’re planning an extravagant wedding. Similarly, farther south in Ravello you’re sure to have warm weather and a view of the sea that can’t be beat – the unique and secluded town sits on a hill with a dramatic view of the Lattari mountains and the coastline below. Each town has luxury hotels, extravagant palaces and exclusive settings to chose from for you once in a lifetime ceremony! 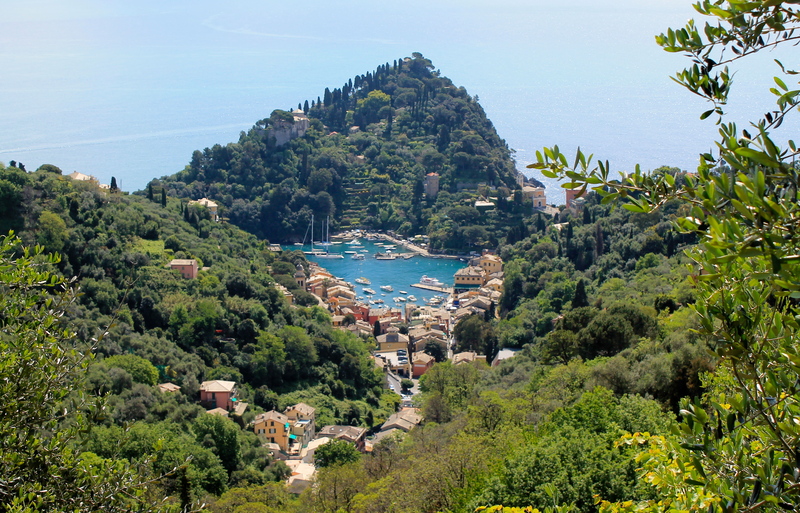 While both Portofino and Ravello have great seaside views, others might want a different kind of panorama. Head north to Lake Como for a wedding overlooking the lakes and surrounded by the Alps. While it’s beautiful in all seasons, the spring is when Como blooms, with flowers lining every lakeside path, restaurant and beach. Nearby Lecco, Maggiore and Garda are great alternatives – check out Garda’s Scaligero Castle! – but the most beautiful view is arguably on Como’s shores. Try renting a boat for an entirely different perspective! If the countryside is more your setting, head to the beautiful town of Fiesole. A small town located directly above Florence, Fiesole offers one of the best views of the Renaissance city and is a beautiful town to match. For more excellent panoramas, read our post on Italy’s 10 Best Photo Ops.